Over 40 miles of roads in Coventry will be equipped with technologies to assist autonomous or driverless cars, the government announced this week. It’s one of eight projects aiming to develop driverless-car technologies that will receive a share of £20m from the government&apos;s Intelligent Mobility Fund. 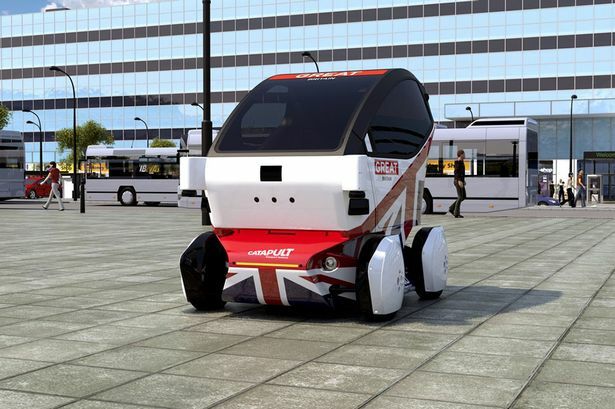 Autonomous vehicles are already being tested in the UK. The government’s business secretary, Sajid Javid, visited MIRA in Nuneaton this week to launch the &apos;UK Connected Intelligent Transport Environment&apos;, or UK CITE, driverless vehicle programme. He said: “Our cars of the future will be equipped with the technologies that will make getting from A to B safer, faster, and cleaner." "They will alert drivers of accidents ahead and be able to receive information from their surroundings about hazards, increasing the safety of drivers, passengers and pedestrians." The Coventry UK CITE scheme will explore the benefits of connected cars or ‘talking car’ technologies, on Coventry roads as soon as 2017, after off-road trials this year. It’s thought that the scheme will create or safeguard some 350 jobs and the hope is that the city could become a centre for developing driverless cars by establishing the infrastructure for on-going real-world testing. The project involves a group of firms and organisations led by Jaguar Land Rover and Visteon, and includes industry partners HORIBA MIRA, Siemens, Vodafone, the University of Warwick, Huawei, Coventry University and Coventry City Council, with support from the Coventry and Warwickshire Local Enterprise Partnership (CWLEP). The UK CITE project includes a £3.41m grant from Innovate UK. The remaining funding will be provided by investment from the project’s partners. The latest project follows the news that driverless cars could actually be on the city’s roads this year as part of the £19m ‘UK Autodrive’ programme which started last April and has seen Coventry cooperating with Milton Keynes to test driverless cars on roads, along with 15mph self-driving pods. The latter are being assembled by the innovative Coventry firm RDM which was a Birmingham Post Business Award winner last year. Having sat in one of those ‘Lutz’ pods I’d be the first to admit that they do look a bit odd (see here ). But don’t let that undermine the radical shift that such cars could well bring in the future. Note for example, how much more ‘normal’ looking was the Tesla Model S that I test drove recently around Birmingham’s ring road with an ‘autodrive’ feature engaged. Indeed, Tesla, Googe and Apple are all thought to be working on autonomous electric cars. And mainstream auto makers like Daimler, Volvo, Toyota and BMW – and critically major supply chain firms - are all pushing autonomous vehicle technologies in a big way. Suppliers and software firms are lining up to supply driver assistance features which are set to take off, with some analysts suggesting that the market will grow from around $6bn now to some $25bn by 2020, and over $50bn by 2025. Beyond driver assistance, Google, Tesla and others are looking to eventually remove the driver from the picture completely. Google in particular wants to be ‘transformative’, and highlights the positives that could come with completely driverless cars. Such cars may not be here for a decade or more – by 2023 according to Tesla - but when they do arrive they really could revolutionise urban transport. Having a fleet of semi-autonomous electric or hydrogen cars to hail at our disposal in cities – the ultimate driverless ‘Uber’ on-demand taxi app - could help make roads safer, less congested and cleaner, and could free up occupants’ time to do something more useful or fun than driving. City congestion could be reduced as old ‘steering-wheeled’ cars are replaced and people hail driverless cars with the tap of a smartphone app. Not surprisingly, Google has invested over $250m in the Uber on-demand taxi service through its venture capital wing Google Ventures. The ill and immobile could enjoy much enhanced mobility and freedom. The young could access personal mobility without the need for a licence. Accidents and insurance costs could be cut dramatically. Rural pubs might come back to life as late night drinkers won’t be able to drink and drive. Just hail a driverless cab instead. High speed motorway cruising could be made much safer and quicker in computer controlled convoys, saving fuel. And accidents could be avoided and so heavy crash safety features on cars could be reduced, in turn saving more fuel – whether fossil fuel, electric or hydrogen. So when thinking of the driverless cars of the next decade, think of the autonomous taxi. We won’t necessarily need to own a car but rather might summon one when we need one. In fact, we could end up thinking about the ‘auto-mobile’ in a very different way.